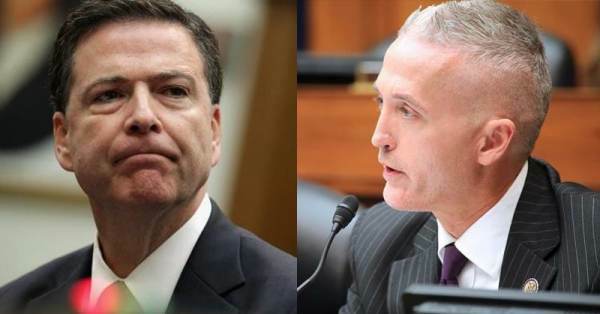 In an interview with Fox News Friday, Rep. Trey Gowdy (R-SC) lamented the chilling effect that James Comey’s book tour was having on the FBI. Gowdy attacked the former FBI chief for politicizing the bureau. “I can’t think of anyone who’s done a better job of politicizing the FBI than he has in the last 36 to 48 hours, by talking about tanning bed goggles and the length of a tie,” the Republican lawmaker told the hosts of “Fox & Friends”. “I’m really disappointed, whether or not the intelligence community vetted this book,” Gowdy said. “I hope he let them do it so he’s not disseminating classified information. My guess is he did,” Gowdy added.